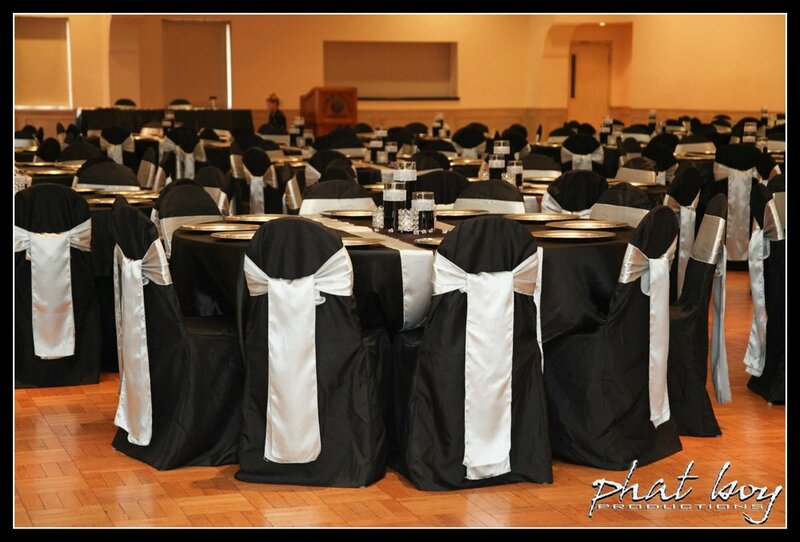 Windsor wedding decorator, Phat Boy Productions, has several chair covers and sashes to enhance your event! 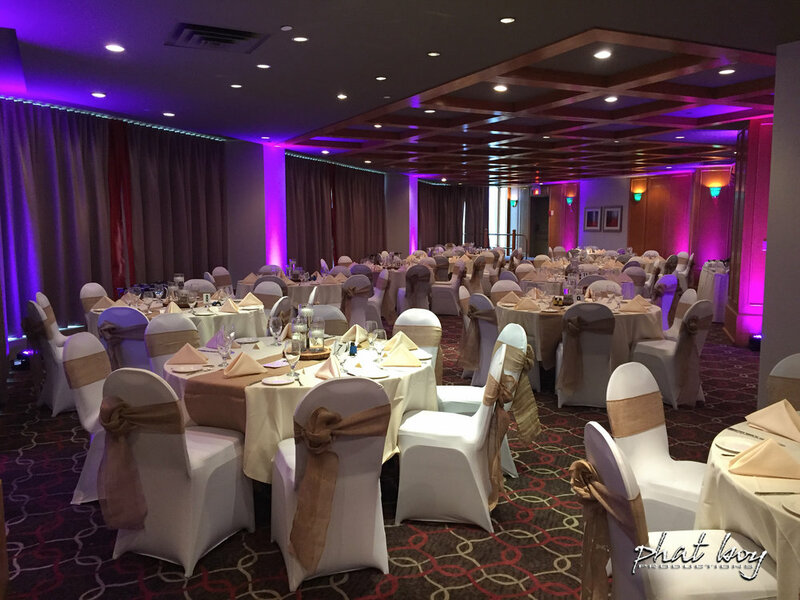 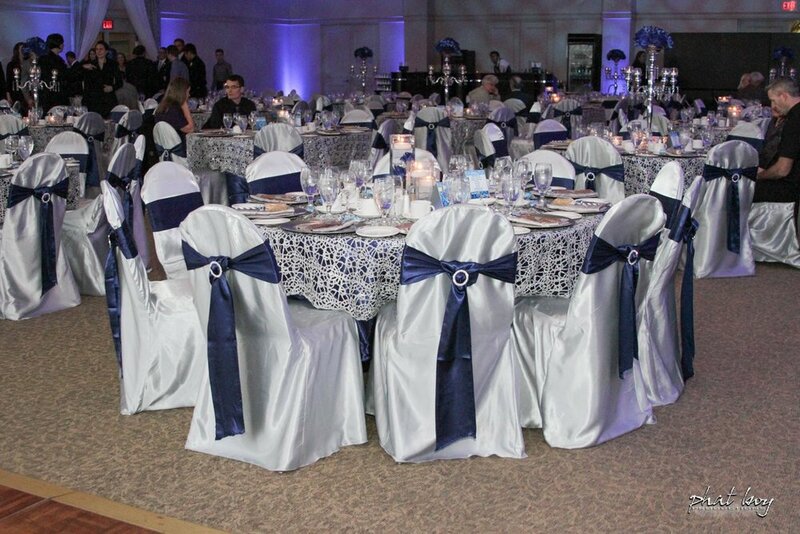 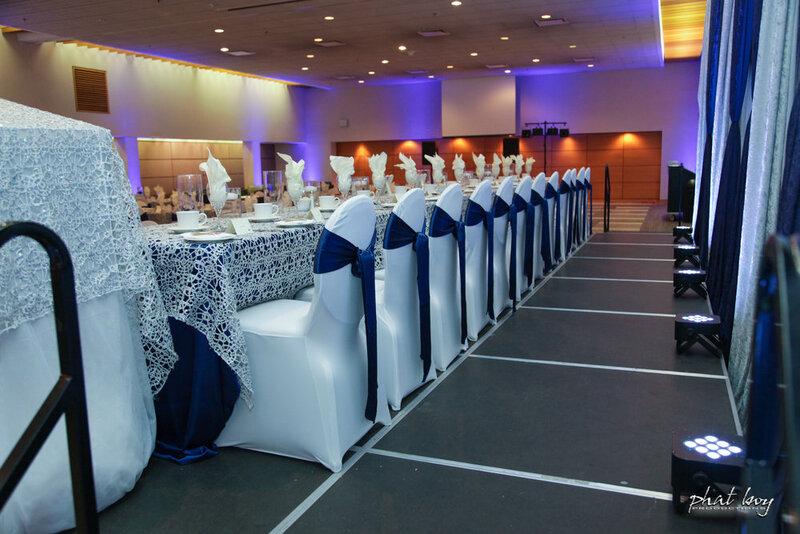 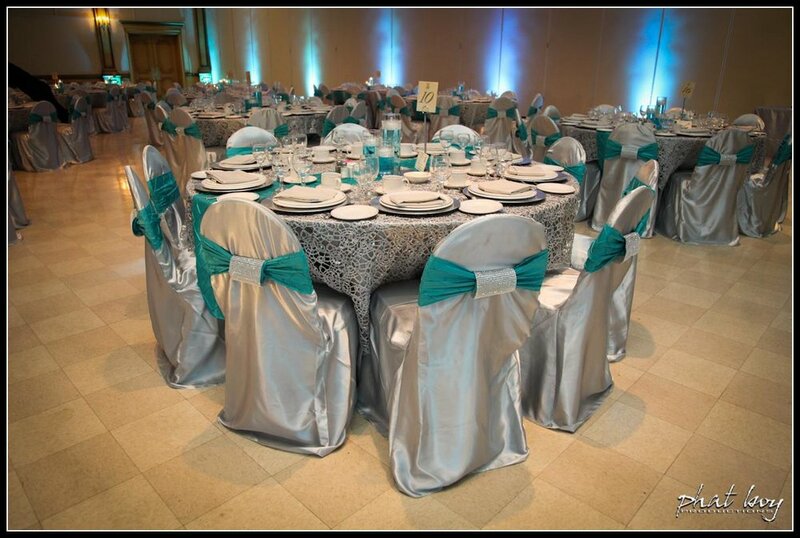 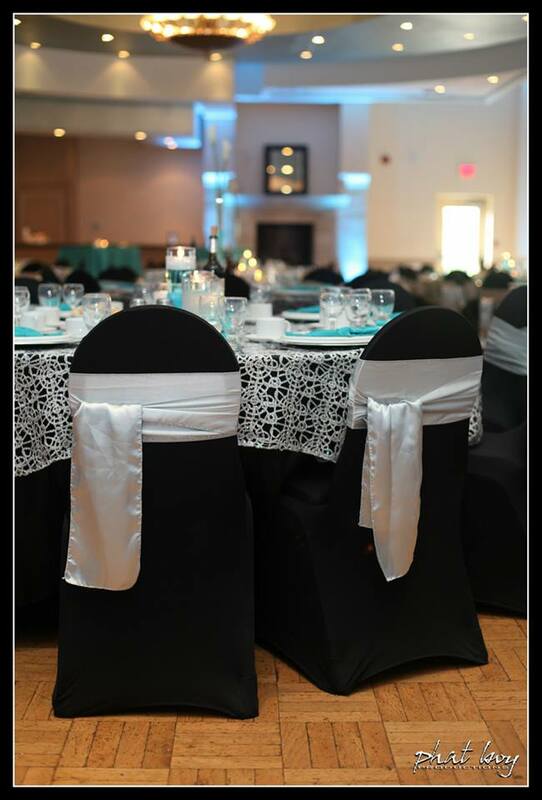 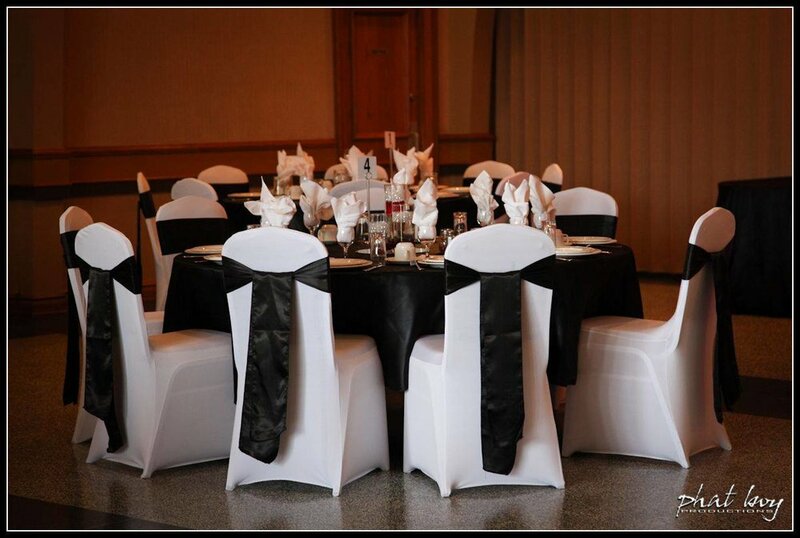 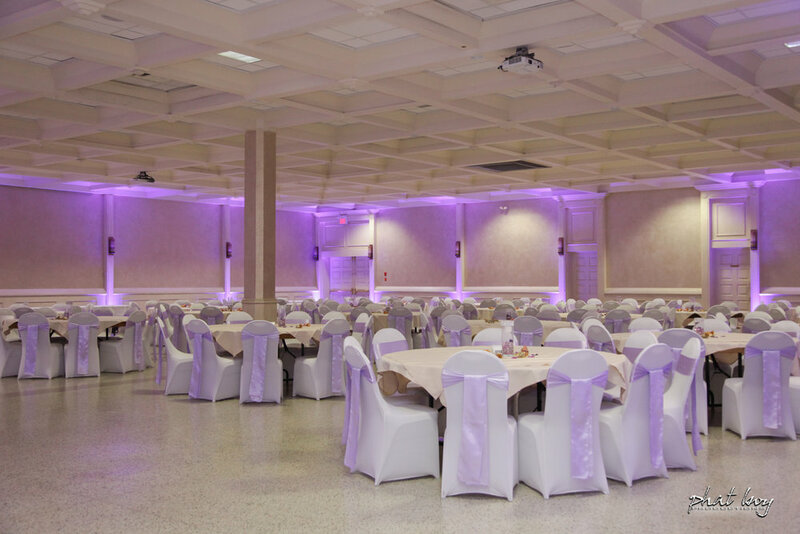 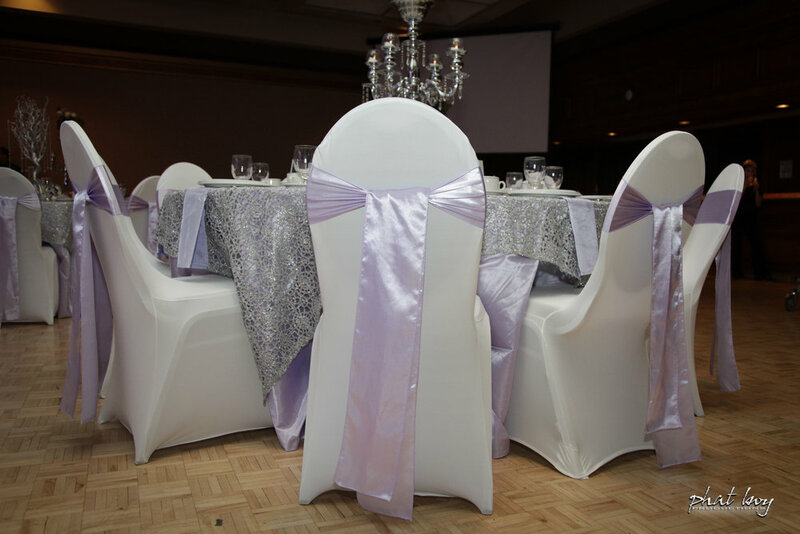 We offer different chair covers styles including: spandex, pillowcase and fitted banquets. 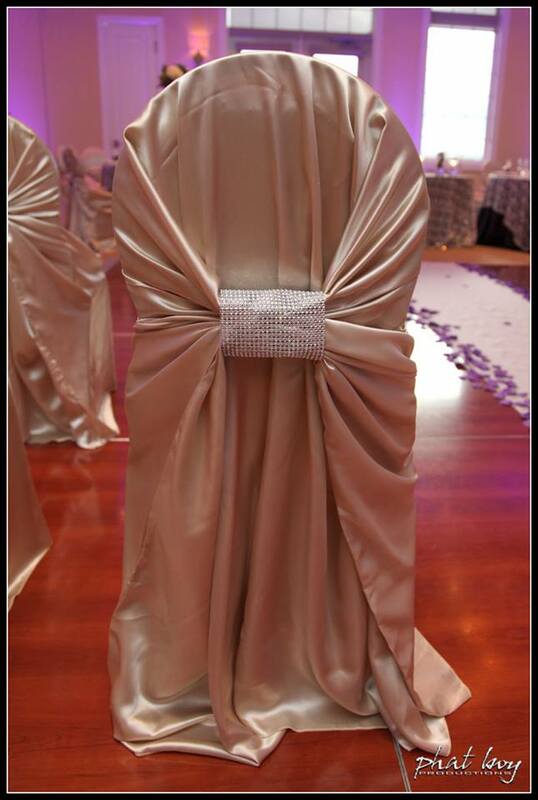 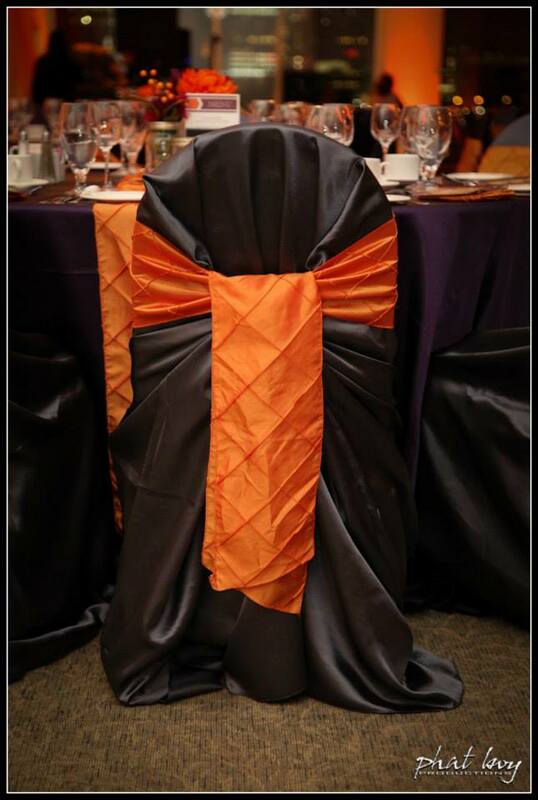 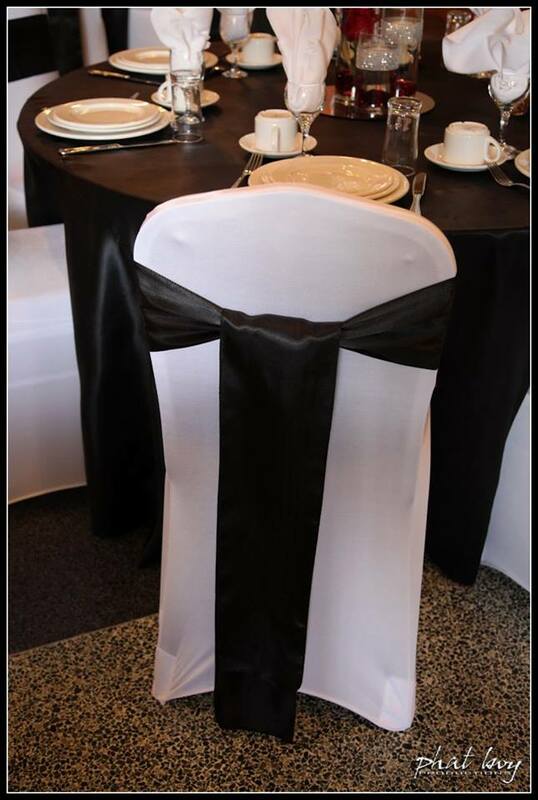 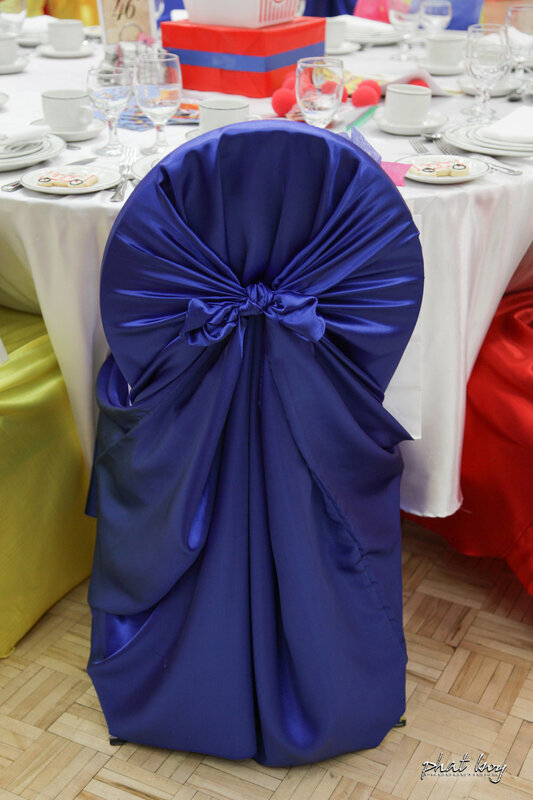 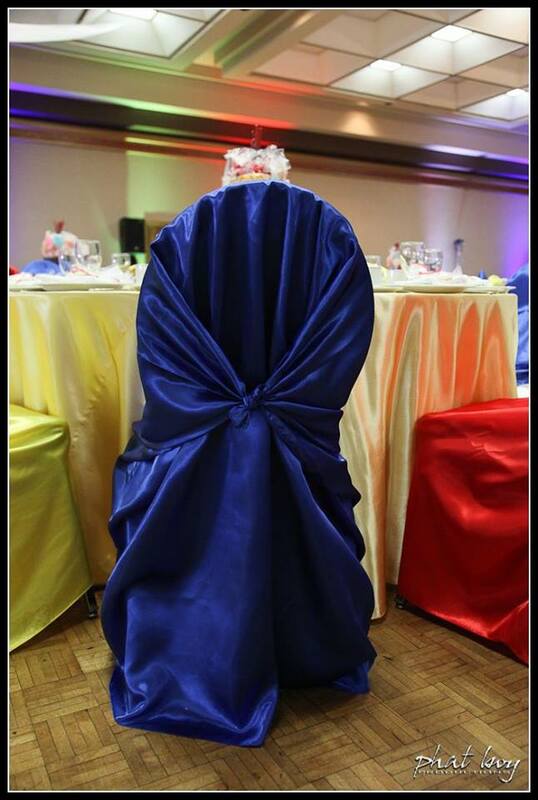 Our chair covers come in a variety of colours to match any theme. 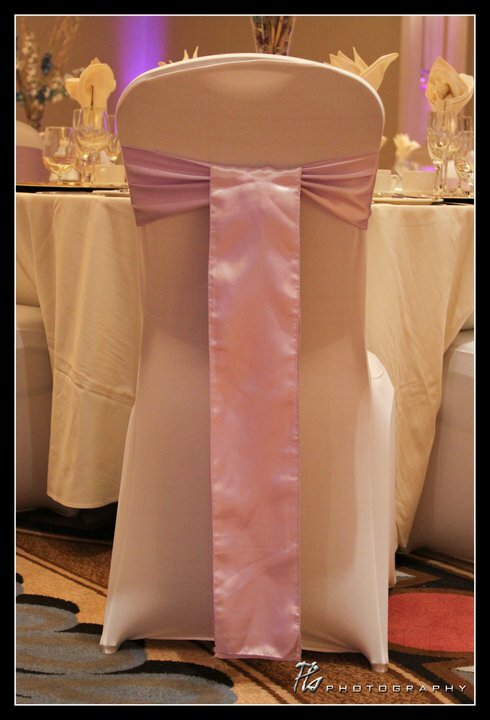 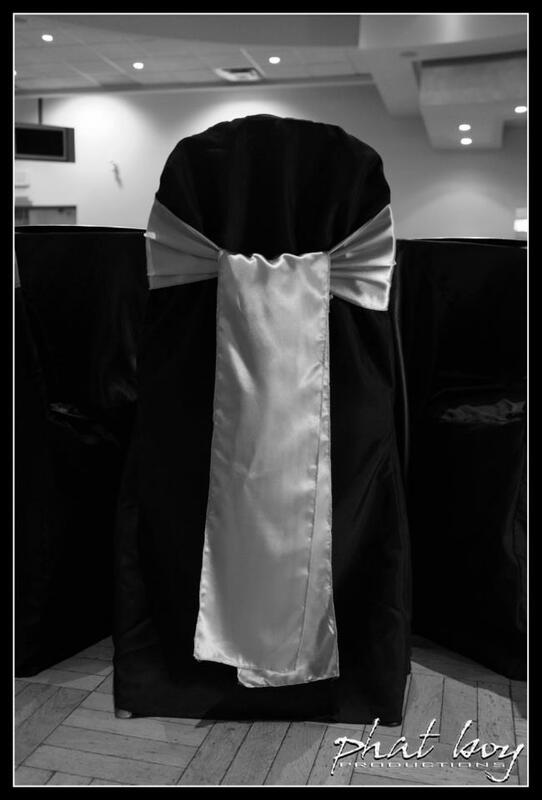 With the addition of chair sashes we can highlight feature colours and create truly unique designs.